Columbus, OH – November 2, 2010 – Best Lawyers has named the following Porter Wright partners “Lawyer of the Year” for 2011: James P. Botti, Robert L. Brubaker, Theodore D. Grosser, John B. Rohyans, and Bradd N. Siegel. James Botti has been recognized as Best Lawyers’ 2011 Columbus, OH Banking Lawyer of the Year. 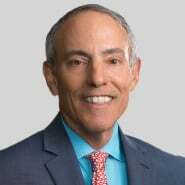 He has spent nearly all of his 28-year career representing banks and other financial institutions in negotiating and documenting complex commercial loan transactions and in handling troubled loan or “workout” situations both inside and outside of bankruptcy. Botti also represents many non-financial institution lenders in collecting money owed to them by commercial borrowers of all types. In addition, he represents a number of borrowers in negotiating complex commercial loan transactions and assisting them in troubled loan or workout situations. Robert Brubaker has been recognized as Best Lawyers’ 2011 Columbus, OH Environmental Lawyer of the Year. He has practiced in the field of environmental law since 1972. Brubaker represents manufacturers, utilities, small businesses, trade associations, and public sector clients with regard to the Clean Air Act and other environmental matters. His practice includes permitting, administrative rulemaking, adjudications and appeals, and trial and appellate court environmental litigation. Brubaker is chair-elect of the American Bar Association Section of Public Utility, Communications and Transportation Law, chair of the Section’s Environmental Law Committee, and a fellow of the American College of Environmental Lawyers. Theodore Grosser has been recognized as Best Lawyers’ 2011 Cincinnati Mergers & Acquisitions Lawyer of the Year. Grosser, a corporate and commercial lawyer in Porter Wright’s Cincinnati office, represents both private and public companies in mergers, acquisitions, divestitures, joint ventures, and a host of complex strategic transactions. He was recently recognized as “one of the best in the city” by an international legal guide. As a significant part of his practice, he acts as primary legal counsel for a host of closely held enterprises in the construction, manufacturing and service industries. John Rohyans has been recognized as Best Lawyers’ 2011 Columbus, OH Real Estate Lawyer of the Year. He has worked in the areas of real estate development and real estate finance since he arrived at Porter Wright in 1969. 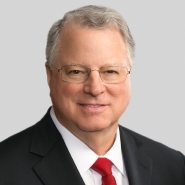 During his first 20 years with the firm, Rohyans worked principally with developers such as Red Roof Inns and Bob Evans Farms in the acquisition, financing and development of sites throughout the country. The emphasis of his practice over the past 15 to 20 years has expanded to include real estate finance with clients such as Nationwide Life Insurance Company and State Farm Life Insurance Company. Rohyans is the former Practice Group Leader of the firm’s Real Estate Department. Bradd Siegel has been recognized as Best Lawyers’ 2011 Columbus, OH Labor and Employment Lawyer of the Year. Siegel has over 30 years of experience in labor and employment law litigation on behalf of companies and their managers in state and federal courts. He has successfully defended management clients against claims brought under state and federal employment discrimination statutes, ERISA, Section 301 of the LMRA, and state wrongful discharge law, including class actions. Named for more than 20 years to The Best Lawyers in America®, Siegel was elected a Fellow of the College of Labor and Employment Lawyers in 1999. He has been recognized as an Ohio Super Lawyer® by the publishers of Law & Politics and Cincinnati Magazine and is one of the highest ranked employment attorneys in Ohio according to Chambers USA. Siegel is a former Chair, and current Council Member, of the Ohio State Bar Association’s Labor and Employment Law Section, and is a founding Member of the Ohio Management Lawyers Association.